In producing this booklet of 25 double-spread pages, Peter offers us a rich source of material, most of which appears in print for the first time and is the result of a great deal of original research into a wide range of documentary sources. 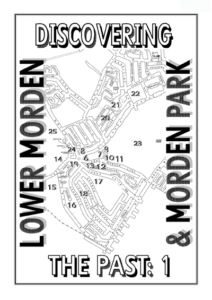 A general survey of Morden parish from AD 1 to the year 2000 leads the reader into a detailed account of 20 locations into which Peter has divided Lower Morden. 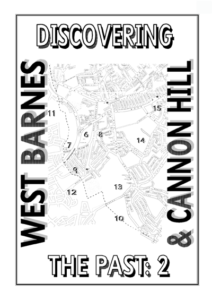 The whole is illustrated with 47 maps and 39 photographs old and new. Like its predecessor, on Lower Morden, this large-format booklet devotes each of its 15 double-spread pages to a separate theme. After useful discussions of four key periods in the early history of the district, and an explanation of Merton Priory’s estates at the Dissolution, there are lucid histories of each farm or other piece of land that together made up the western part of Merton parish and the immediately surrounding area.